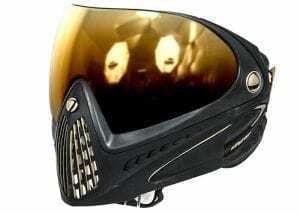 Eye protection is by far the most important (and mandatory) piece of safety equipment you need at an airsoft game. While your skin may bruise or cut, it generally heals without long term effects – the same cannot be said for your eyes. Most players spend so much on rifles but skimp on this basic protection. Spending that extra money for proven eye and face pro far outweighs the risk (and cost) of losing an eye or tooth. 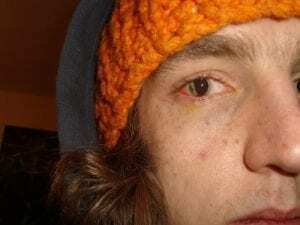 Airsoft YouTuber Cleanshot recently uploaded a video that stresses the importance of good quality eye-pro, after a taking a shot which caused a player’s glass to literally POP OUT of his eye-pro. The following weekend we had a similar event happen in Norfolk with an AEG. While in both incidents the players were unharmed, things could of gone really badly. Watch below as you see the moment it falls out. Now we’ve discussed the standard safety rating, let’s look at the different styles of eye protection. I’m sure you noticed there are many designs and styles of eye pro, each having a set of pros and cons. What matters most is what you find comfortable and is still safe to play in. Can be used for other everyday uses. At this point it would be silly not to mention the lower part of our face, something that is expensive to replace and happens more often than we’d like – teeth protection. Playing without a lower face mask is never recommended although the risk is yours to take (unless you’re under 18 on most sites). Alternatively you can buy separate lower mesh masks, masks that clip on helmets, or play with a scrim/gum shield combination. We’re not going to recommend a specific set of eye protection because there are so many great ones available. Instead, we’re going to provide a list of recommended brands so you can find a set you like. it’s important to stay safe while playing Airsoft as you only get one pair of eyes. Don’t take these risks and invest in a set of comfortable and safe eye protection. The choice of Glasses, Goggles and Mesh is yours to make and there are a lot of great brands out there that have variety and design differences – just keep an eye (haha!) out for the EN166 markings.